Texas Hill Country charm - come to New Braunfels! top it with a scoop of gelato! 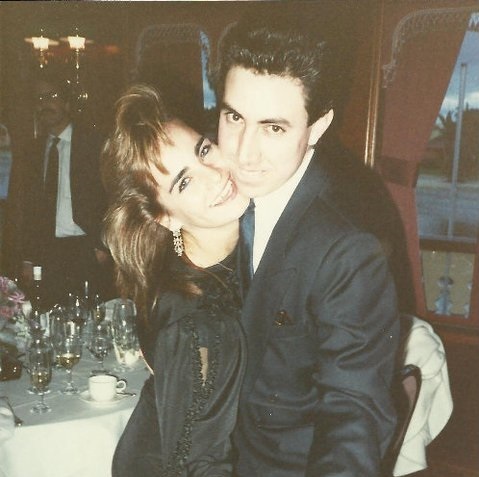 I met my wife on the platform of the Congress "el"train at O'Hare airport in Chicago near the end of the summer of 1988. This is the story of how we fell in love over a cup of gelato. But first, let me explain that I arrived to Chicago with a heavy heart that summer afternoon, as I had just flown in to start another year of medical school. after spending summer break in the beautiful city where I had grown up: Trieste Italy. .As everyone knows, the country of Italy is synonymous with delicious, wholesome food. And for a child growing up in Italy, the pinnacle of gastronomic achievement is, without a doubt, gelato. With half the fat of ice cream, no artificial coloring and no preservatives, artisanal gelato is the gourmet delicacy people of all ages can enjoy. It brings families together. It cements memories. And I have no doubt, It helps people, young and old, fall in love. Gelato was intertwined with my childhood. One of of my fondest memories is of my grandmother Luisa sending us to the dairy shop on our street to fetch her favorite treat: a giant gelato sandwich set between waffle cookies. The shop keeper wrapped it with care in thick wax paper.and and my brothers and I scurried home, eager to have nonna cut a small piece for each of us five children. But our city of Trieste is not just famous for its gelato. It is also home to historic coffee houses where locals hobnob with artists and writers, just as they did a century ago when a young James Joyce came here and wrote "Dubliners", "A Portrait of the Artist as a Young Man", and began his masterpiece, "Ulysses". Trieste remains Italy's capital of coffee, now home to The University of Coffee and headquarters of renowned coffee makers, Illy®: our exclusive coffee provider. So what happened on that summer day in Chicago? Well, we got on the same train. She sat a good distance away from me. After a minute I got up and took the seat across from her and struck up a conversation. Turns out we were getting off at the same station. I gave her my phone number. She didn't call. But nonna Luisa did not raise a fool so I managed to find her. Of course, for our first date I invited her for gelato. Pretty soon she was hooked. 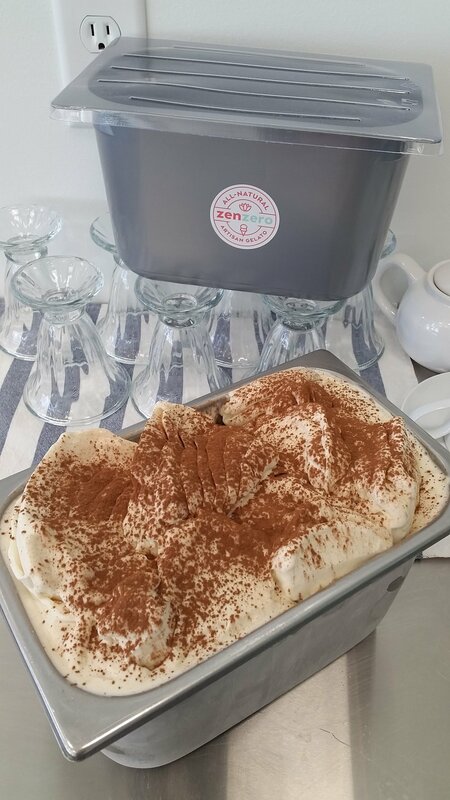 We make our gelato from scratch in small batches with ZERO artificial colors, ZERO preservatives and ZERO artificial flavourings. There are dozens of flavors we are able to make, but not all on the same day. A few flavors have become local favorites and are available every day (unless we run out). Some flavors show up frequently on our rotation, others not as often, and a few are seasonal. If there is a flavor you don't see and would like us to make, let us know. If it sounds good, we'll make it. Gelato is the Italian gourmet version of ice cream. However, because of the Food and Drug Administration definition of ice cream, gelato is NOT ice cream. The FDA defines ice cream as a cream based frozen dessert that has at least 10% butterfat (the fat content of ice cream is usually 10% to 18% but can be higher). Gelato has a LOWER FAT CONTENT, from 0 to 8%. This and other differences make gelato a HEALTHIER OPTION compared to ice cream and frozen yogurt. Did you know the main ingredient of ice cream is air? Ice cream is churned at a fast speed to incorporate air. It usually has 50 to 60% air. 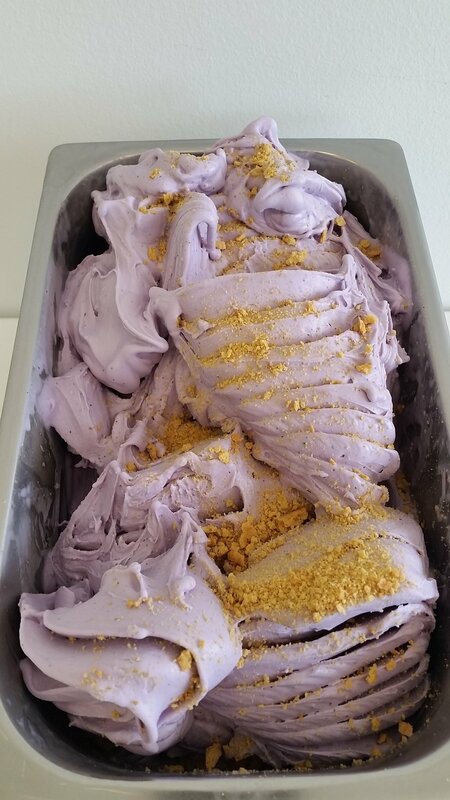 Gelato is churned at a slow speed and has only about 15% air. 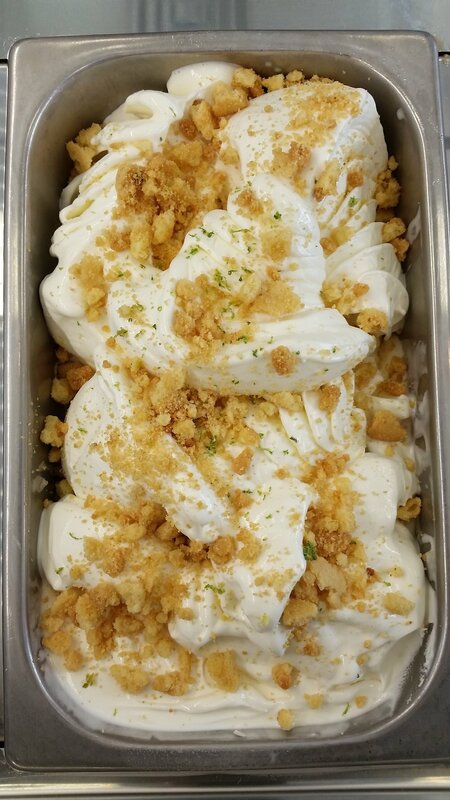 Artisanal gelato uses premium ingredients with no artificial flavors, colors or preservatives. Not so with ice cream. Ice cream is often stored for months before it reaches the consumer. 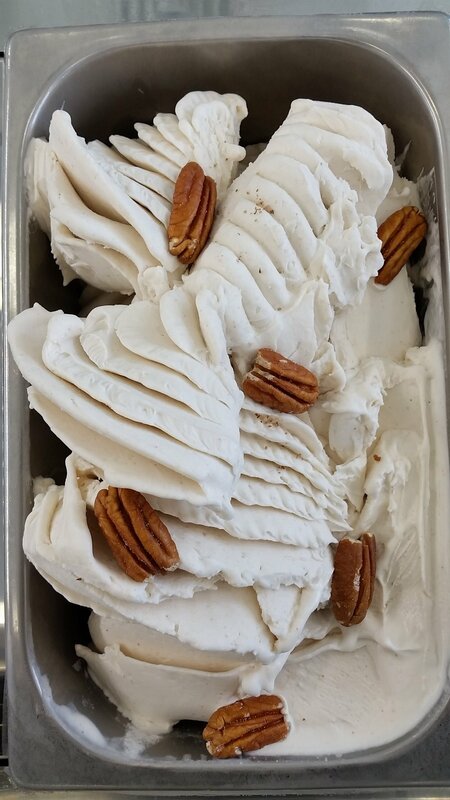 We make our gelato fresh daily. And it shows. There's nothing as comforting and nutritious as a bowl of soup made from scratch, served with a delicious sliced baguette. Or perhaps you prefer a wholesome salad, or a trattoria-style Italian sandwich. Saturdays and Sundays at ZENZERO means SOUP, SALAD, AND SANDWICHES. 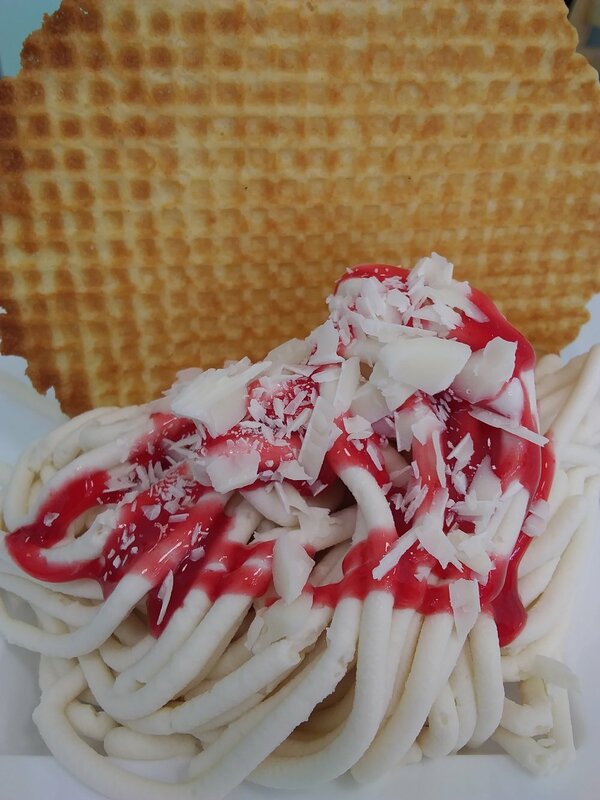 Treat yourself to a light, delicious meal, and stay for the gelato!